“There is a whole world in five notes, just as there is a world in five colors.” With these words David Benforado, painter and musician, expressed his understanding of art to me. 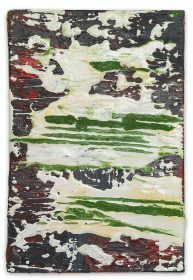 Painting Makams and Between Sound and Silence are, appropriately, the titles of his two series for the art vending machine, both of which have been available for sale this year at the Jewish Museum Berlin (more information about the art vending machine on our website). 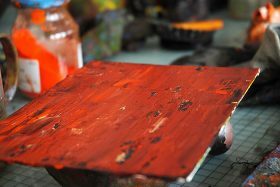 Music and painting are combined in small-scale oils, studies in color filled with energy and vitality. 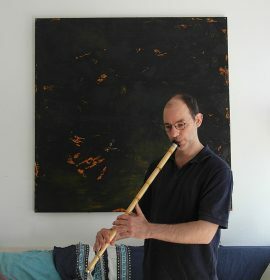 Ever since David Benforado has been painting, he has been working with music. His atelier has again and again been the site of sessions with professional musicians, for instance during his time in Budapest with the accordion player David Yengiburgan and here in Berlin with pianist Antonis Anissegos. 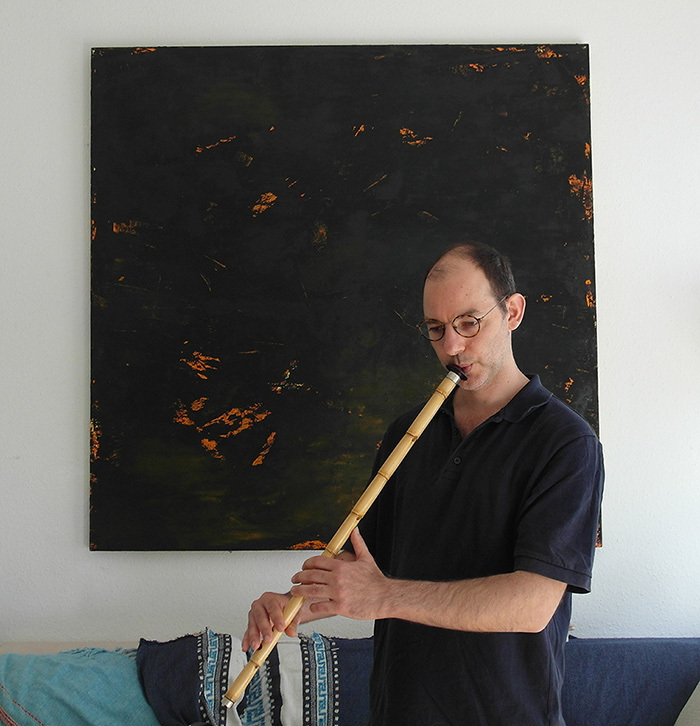 Seven years ago Benforado began studying the ney, a Middle-Eastern flute, and soon he encountered the world of Turkish makams and modal music from the eastern Mediterranean. This became a source of inspiration for his painting. David Benforado grew up in Greece. The particular light of that region is, as he says, “a part of me”. A two-year sojourn on the Greek island of Syros was especially formative for him. Through the daily and seasonal rhythm he observed and analyzed the light, with all of its nuances, its transformations. He developed a new perception of color and new ways of using it. 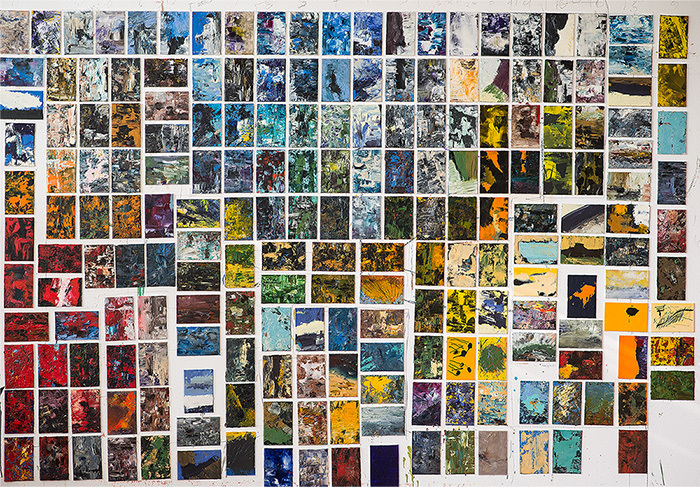 Of the 400 oil paintings in the two series for the art vending machine, each one unique, the artist used two different techniques for painting. He himself mixed the paints from pigment, as always. 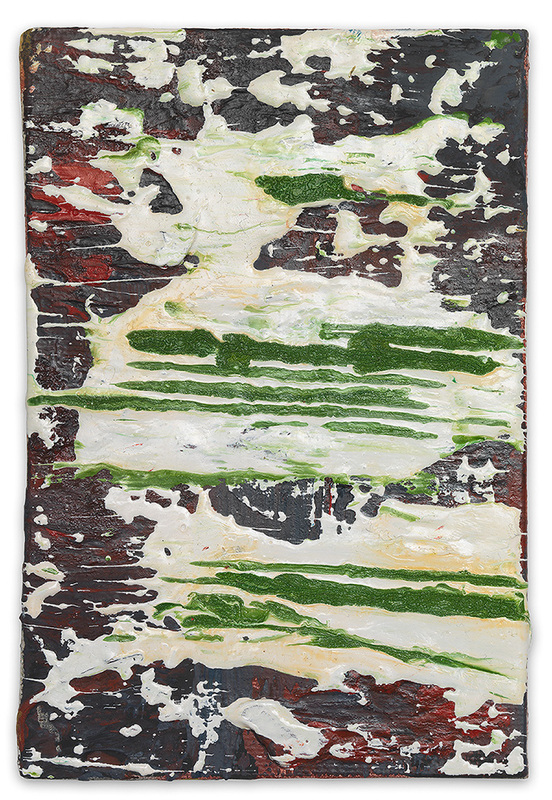 In the first variant, he spread a number of layers of paint on top of one another. The paints dried in the interim, the last layer following the method “wet-on-wet”. With the second technique the paint got applied all in one batch, in connection with his listening to modal music. The makams underlying this music – series of tones, each marked by certain intervals and a characteristic melodic progression – all stand for different emotions. Every painting conveys the timbre and acoustic color of a specific makam. These works are studies for larger paintings. Benforado’s paintings evoke associations with nature: surges, waves, fire, wind, the rustling of leaves, sunlight, and sky. Each with its own distinct personality, they invite a kind of meditative immersion and, in addition, the discovery of what might be below the surface. Leonore Maier and other admirers of his art daily enjoy their own David Benforado paintings. More information about David Benforado on his website http://www.davidbenforado.com/. Impressions from the »Between Sound and Silence« exhibition in Athens. 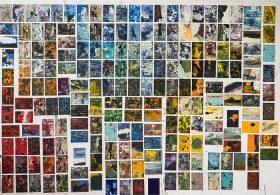 Another tip: You can regularly see work by David Benforado at HilbertRaum, an artist-run project space in Berlin-Neukölln’s Reuter neighborhood: http://www.hilbertraum.org/.